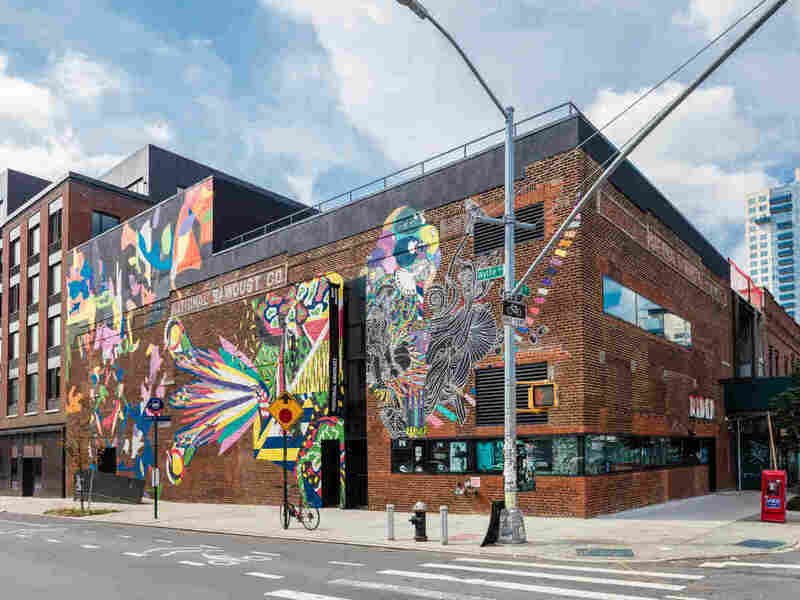 Ex-Sawdust Factory Is Transformed Into A NYC Musical Venue The nonprofit located in Brooklyn functions as performance space, record label and artist incubator. Despite its small size, it has a foundation with a $450,000 fund to develop new work. National Sawdust is aiming to be the kind of institution that can do what the Metropolitan Opera or the New York Philharmonic does for mainstream artists. Located in Brooklyn's Williamsburg neighborhood, the revitalized space operates as a performance space and artist incubator through its Artists-in-Residence and Projects-in-Residence programs. Helga Davis, a resident vocalist, said that it aims to become an institution that can mold mainstream artists in the same way that the Metropolitan Opera or the New York Philharmonic does. "We need a space for the next generation of composers and performers who don't actually fit into any of the existing spaces, who don't actually have homes in which to experiment, to build their muscles, to build their vocabularies, to build their audiences," Davis said. She is not alone in expressing that National Sawdust offers a unique space where "difficult-to-categorize artist[s]" can feel right at home. Another one of the current 12 artists-in-residence at National Sawdust is the musician Abraham Brody. His style embodies that of a singer-songwriter with a flair for Baltic and Slavic folk music. He views National Sawdust as a place for far more than contemporary classical or experimental music. "It's not just for world music," Brody said. "It's everything together. I just find this openness here is really unusual." 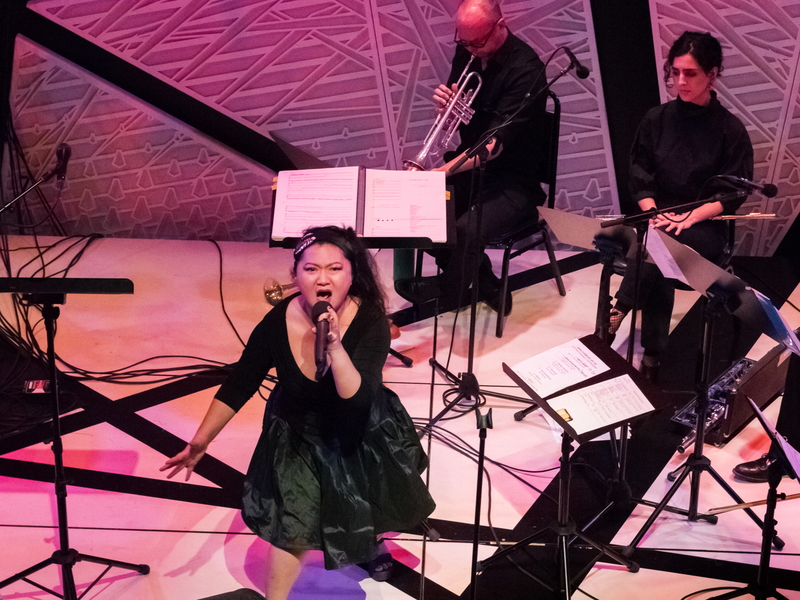 Du Yun performs at Angel's Bone release concert at National Sawdust. The nonprofit's artists-in-residence program is crafted for artists who are just starting their careers as well as those who are transitioning from one aspect of the arts to another. The year-long program works with people from largely diverse backgrounds and artistic styles. Brody said the residency is also unusually generous. The nonprofit brought him to New York from his base in Vilnius, Lithuania, found him spaces to live and work for five months and flew in his collaborators for performances in Brooklyn and at the Kennedy Center in Washington, D.C.
National Sawdust is also a recording studio. Each artist-in-residence gets 20 hours of free recording time, which is enough for some to complete an album. The winner of last year's Pulitzer Prize for music was recorded at the venue — the opera "Angel's Bone" by composer Du Yun. National Sawdust provides its artists with close to a million dollars a year in support, according to its co-founder and artistic director, composer Paola Prestini. "The hope is to educate a new audience to constantly be listening differently but also for artists to be educated in terms of how to be able to create a sustainable career," Prestini said. "In terms of us and how we're leading the space, [we're learning] how to create a sustainable business in a world that's constantly changing." Prestini said about 40 percent of the National Sawdust's revenue is generated at the box office through venue rentals and food and drink sales, with the remaining 60 percent of profit coming from philanthropists, many of whom are supporting music for the first time. Prestini's husband and former Kronos Quartet cellist Jeffrey Zeigler runs the organization's record label: National Sawdust Tracks. He said in this age of almost unlimited online musical choice, he wants the label to recreate the kind of curated random encounter listeners experience while flipping through CD and LP bins in record stores. "I kind of liked the fact that like maybe there's a band that I like and that it happens to be near this other bin, or something is misfiled, or, like, oh, that's kind of a cool record cover," Zeigler said. "And you just kind of - you're curious about it. And that's something that I think that is missing for a lot of fans of music these days." Later this year, National Sawdust's reach will extend to the West Coast. It will begin booking shows at the Wallis Annenberg Center for Performing Arts in Beverly Hills in addition to the ones it already books at the Kennedy Center in Washington, D.C., and its permanent home in Brooklyn. In a previous version of this story, cellist Jeffrey Zeigler's last name was misspelled as Ziegler. Previously posted on Sept. 23: In an earlier Web version of this story, National Sawdust's record label was identified as Via Records — the organization's previous label. It's now known as National Sawdust Tracks.